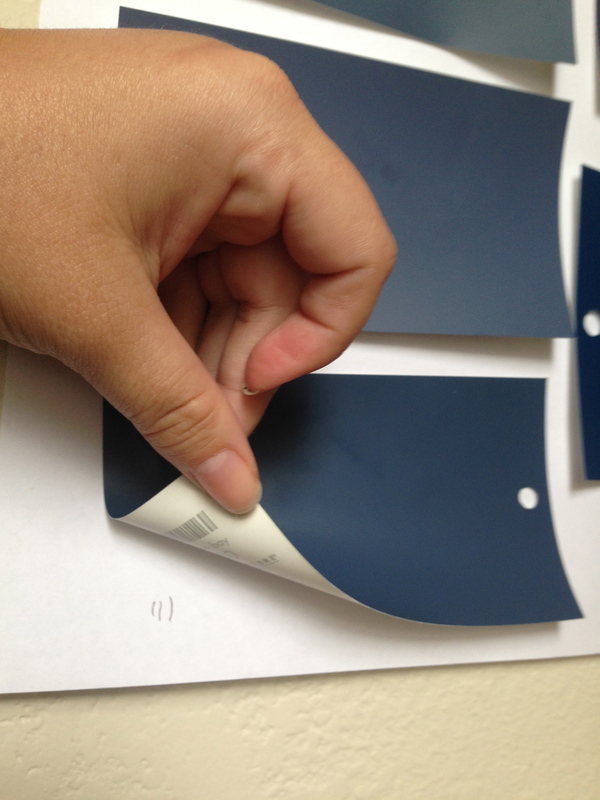 Picking a paint color can be tricky if you just go by the small sample swatches that they have at the paint store. You can easily get it home and realize that it is not what you expected. Without going into the depths of color theory, here are some general guidelines and tips for selecting your paint color. Take samples to your home. Don’t pick them out in the store. Natural lighting and your light bulbs can play a big part in how the end color will look. Know that the sheen you pick will change the color. Most swatches are in a flat or egshell finish. If you go with a semi-gloss or gloss, the color gets richer. Dark colors will get darker and lighter colors can get lighter. Take your time. Look at the colors at different times of the day and with lights on and off. You will see that throughout the day, the color will look different. 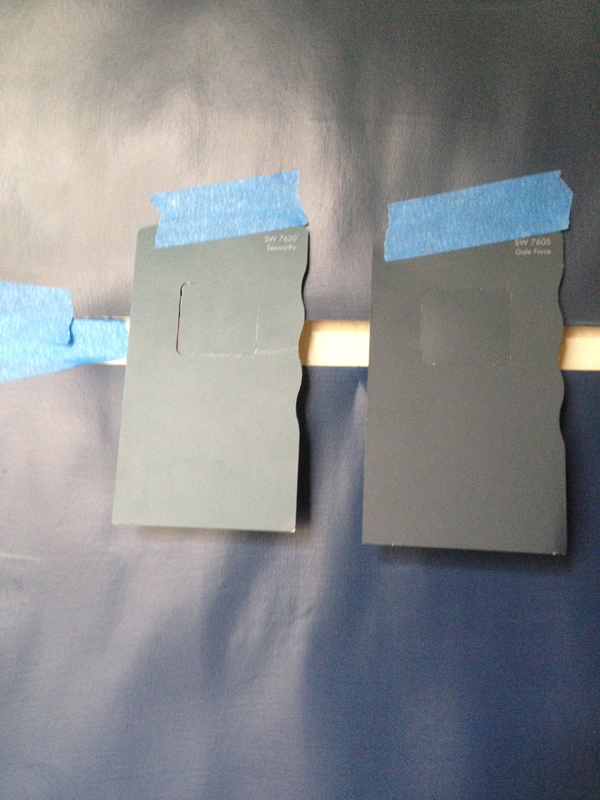 Recently, I had to reselect a paint color for our new dining room. 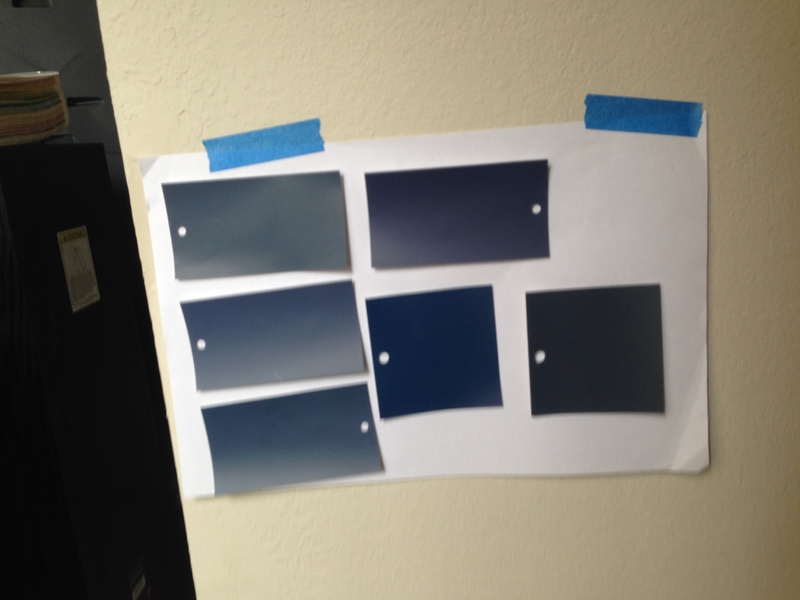 While not a scientific process, this is how I narrowed my selections to find the perfect color: P.S. I apologize for the iPhone pics. Since our move, I have misplaced our camera battery charger. whomp whomp. Go to the paint store and pick out all the colors that you think you like and want for your room. Take them home and tape them to a piece of paper. Tape the paper on the surface that it is going to go (wall, ceiling, floor, etc..). Each time that you look at the colors, make a mark underneath your favorite one the paper. (you can also let family or friends do this too) This will give you an unbiased opinion of the best ones. After a few days, tally up which three or four are your favorites. Most paint stores have sample quarts of pints that you can try the colors out. No matter what brand of paint color you choose, make sure to get the samples mixed up at the store you intend to purchase the real paint. This makes sure that the large sample you make will really be what you will get. 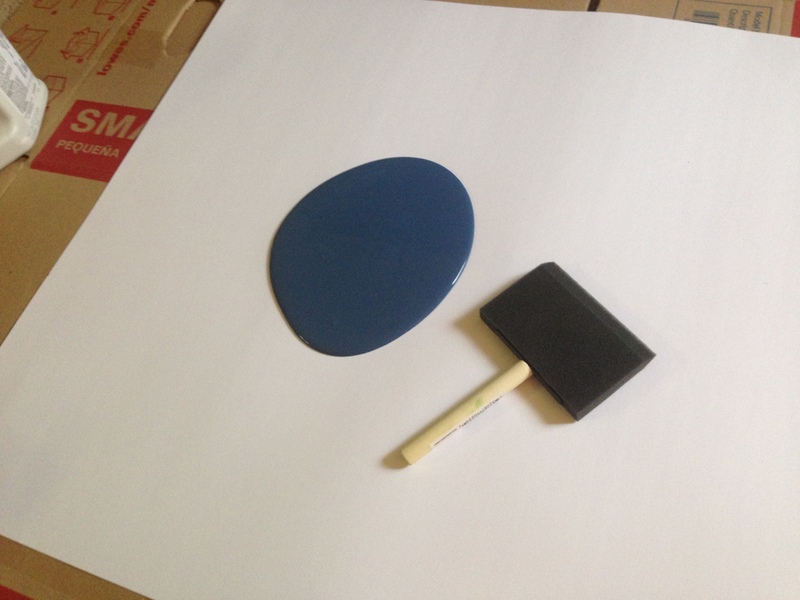 The paint usually varies slightly from the paint sample. 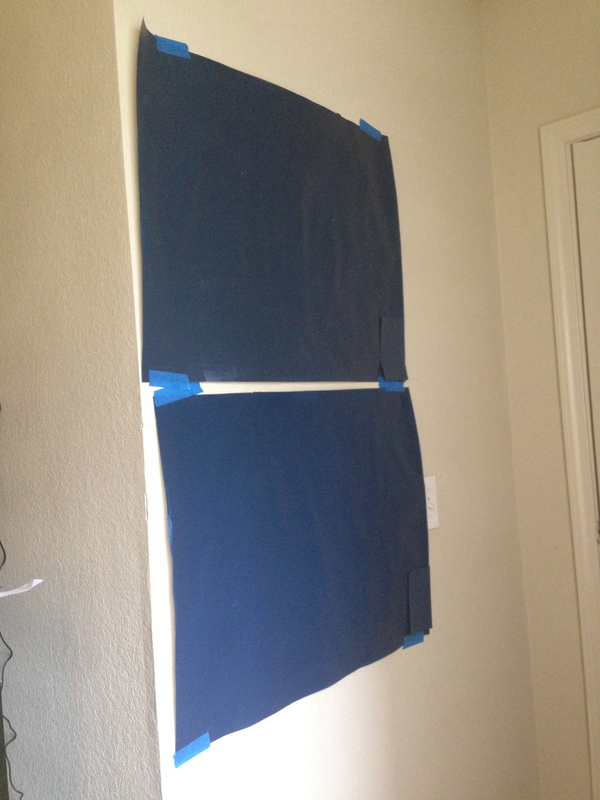 Get large poster boards and paint one whole poster board for each color. By having this large of a sample, you can really see the actual color and you might notice undertones that you would not have noticed otherwise. Make sure to label on the back of the poster what color it is. Do the same process as before with having them in the room on the surface that it will go on. Make tally marks on the back of the posters. Make sure to move them to different walls to see how lighting might affect each wall. If you are uncertain that they are the right choice, you can hold up your “runners-up” and see if you like any of those better. I would still suggest getting a sample of that color as well. Check your tally marks after a few days and see which color is the winner! If you are still overwhelmed and confused, give me a call and I can help you out with it!